[ARCHIVED THREAD] - 150gr SST Superformance out of 18" barrel. I have a CMMG MK-3 .308. 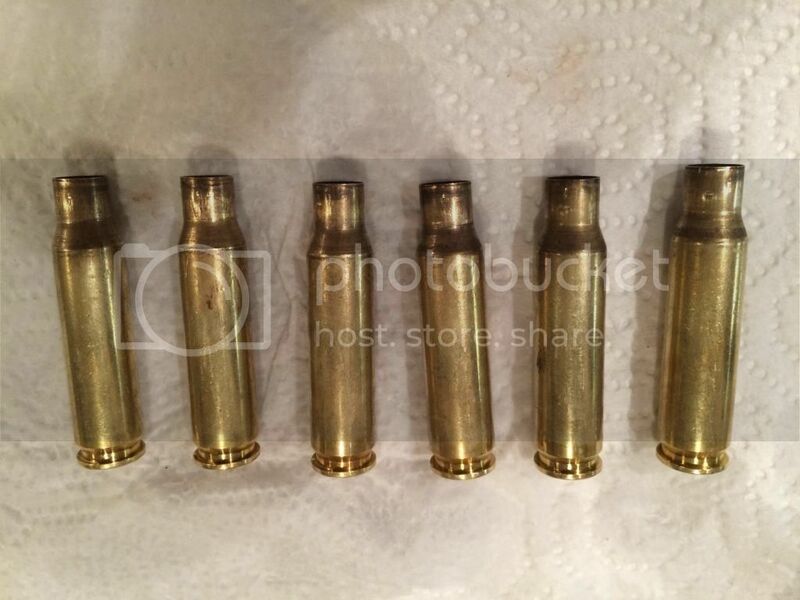 I have some federal/Sierra 165gr gameking (softpoint, boat tail) ammo, but I was wondering how much more of an advantage I would have switching to the Hornady 150gr SST Superformance ammo. I'm going on a mule deer hunt and I was contemplating using the SST. 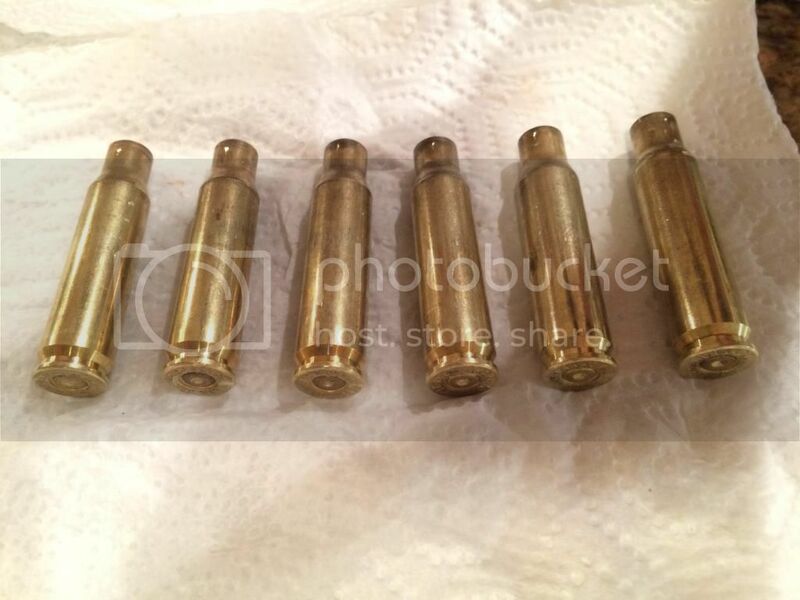 1. what's the velocity/ballistics (via chrono not guestimation) for an 18" barrel for both of these ammos? 2. Would you rather use the SST or Gameking on muleys at or past 200yards? The Superformance ammo is likely to cause problems for your gas system and cyclic rate. Is this the rifle you have? I would rather use the GMX on mulies, but many have been taken with the bullet options you list. Speed is not your friend with a non-bonded bullet, so I would consider what will happen with close contact shots within 100yds as well. A lot of time, we see soft point and even interlocked pills like the SST come apart on the close shots, because of velocity. If it's a vital zone placement, you will still get a kill. I think with an 18" barrel, and modest velocities, you're in the right boat, even with the Game Kings and SST's. I've see plenty of people praise and loathe them both. If it were me, I would test each of the loads in that 18" CMMG, with a chrono or magnetospeed, and determine your average mv's. I'd be interested to see if the 150gr SST Superformance load drives the gas system well. Superformance is supposed to generate more velocity by extending the pressure curve longer down the barrel, which is often an issue for gas guns. Hornady is listing a 3000fps mv for that 150gr SST load, but they don't list the barrel length. If it was 24", then you can expect some pretty insane velocity from that 18" carbine, but you really need to chrono for yourself and report back. From what I'm seeing here, we could be looking at a 2854fps muzzle velocity from an 18" with Superformance factory 150gr SST ammo. It would be awesome for 200yds, but you need to put it straight through the vitals at close range. Look at the 150gr GMX Superformance load also. I would also consider the Nosler 150gr Accubond and E-tip under the trophy grade line. 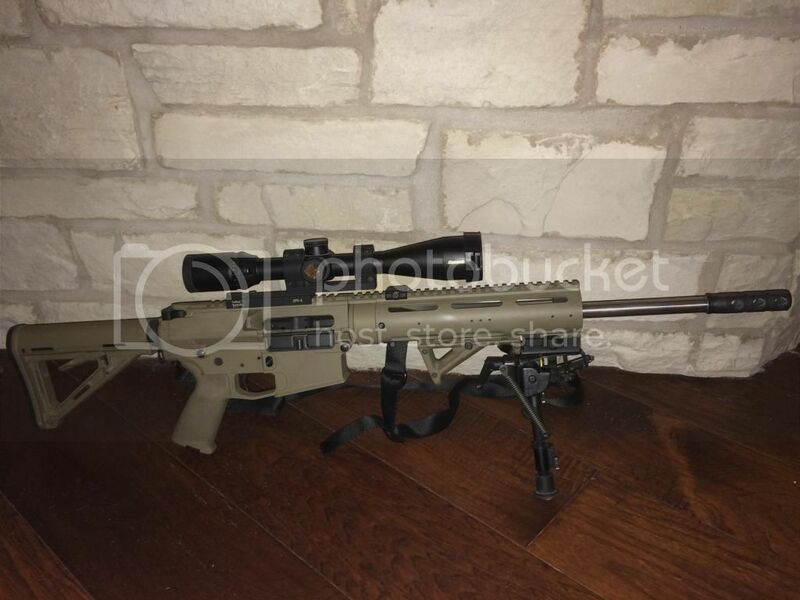 yep thats my rifle except its FDE and has a magpul MOE stock and a nikon monarch 4-16x42 on it. I would bet money it would cycle, but being this close to going I may just run the 165gr gamekings to be safe. you would pick the GMX over the SST (later on when I do decide to test them out) though? I would pick the GMX over any cup and core bullet, since it's a monolithic solid alloy specifically designed to expand and retain 99% weight. I would also pick the SST over the Game King. Since you have a RLGS, I would try the Superformance and see what happens. If you are within close range, execute a head or spine shot, knowing your Point of Impact within the 50-75yd distances. GMX over all. got it. I used Shooter's Notes Velocity Estimator, based on the Hornady supplied data for the 150gr SST Superformance factory load. If they are basing this on a 24" test barrel, with a stated mv of 3000fps, then an 18" barrel will deliver an average of 2854fps. Velocity will be between 2805 and 2904 feet per second about 65% of the time. Sounds crazy to me, but so does 3000fps with a 150gr. Here's the calculator. 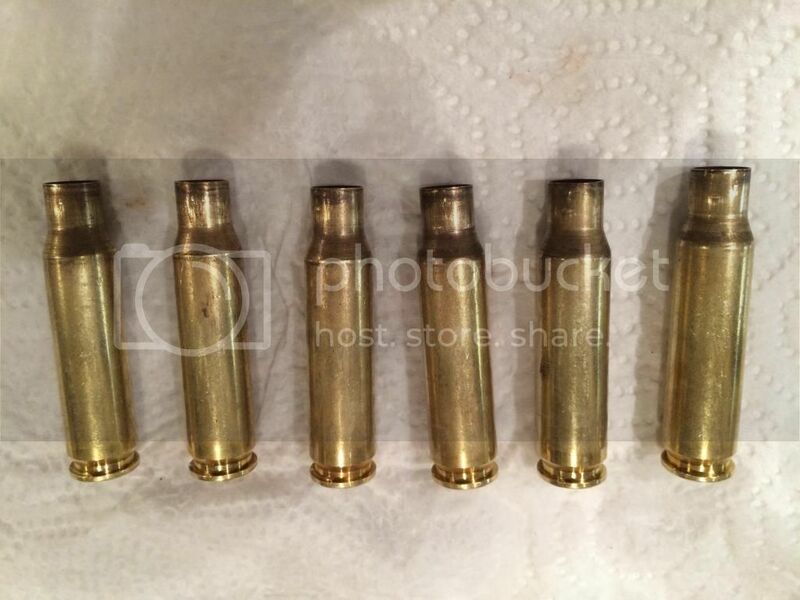 .308 uses ~56gr H2O capacity, is 2.015" case length. My son has an Armalite AR10 with an 18 inch barrel. The 150 gr superformance clocks at 2800 fps. However, as posted here and elsewhere, the port pressure with Superformance is higher than standard. It goes bang, is accurate, but the cases are toast after one shot. Bent rims. loose primer pockets and ejector swipes. I have a DPMS GII with a 20 inch barrel and the 150 grain superformance clocks at 2875 fps. As a stock rifle, the DPMS was easier on the brass. No bent rims, but did have ejector swipes (not as bad) and some loose primer pockets. None the less, the cases got tossed. On my DPMS, I installed an adjustable gas block and heavy buffer. That solved the problem. Who did you get your heavy buffer and gas block from? Went out and sighted in with / tested out the Hornady 150gr SST Superformance. I went ahead and went with the 150gr SST for hunting mule deer at 200+ yards this coming week. 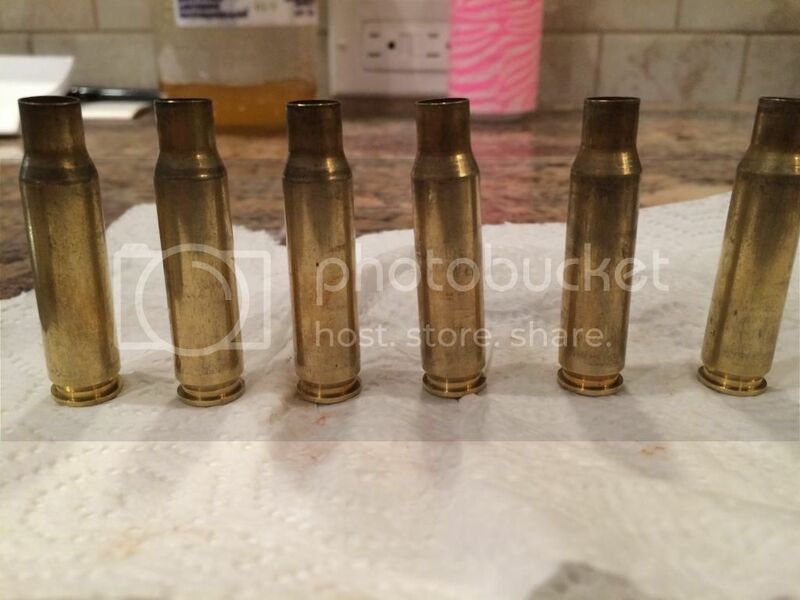 The ammo functioned flawlessly, and the brass was not destroyed or overly mangled as previously experienced by other members. They were not bent, and the only real markings were small abrasions or dimples rather on the neck as you can see in the pictures below. Sighted in at 50 yards for a 200 yard zero. The bullets were fragmented as expected at 50 yards through cardboard and some fence pickets, although I was able to recover all 6 rounds fired more or less. I bought 1000 150 grn SST bullets as they were the most accurate out of my AR10A4B. Well I shot 5 or 6 deer (some out of my .300 WSM around 2900fps)with them and everyone went off like a hand grenade. Mind you they weren't going that fast, like 2600fps out of the ar10. One impressive example was a deer I shot at about 250 yards. 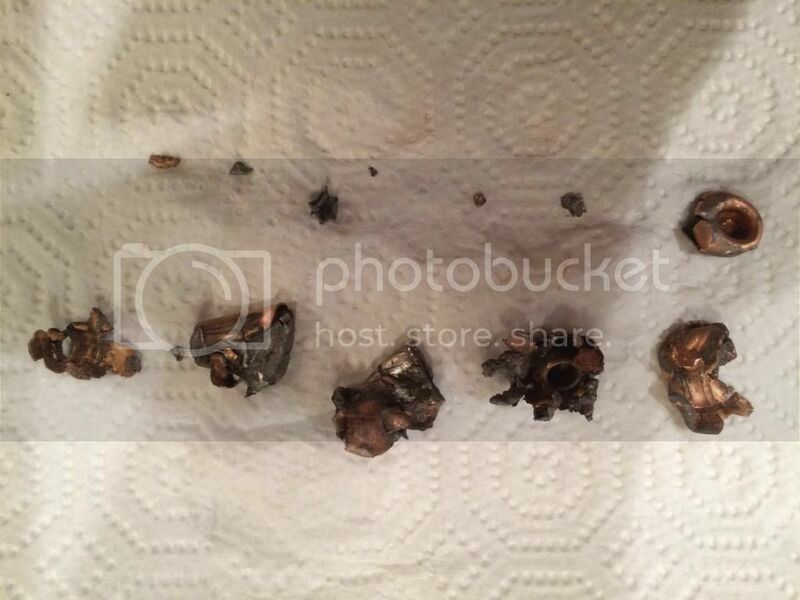 My buddy was spotting me and at the shot told me I gut shot it as he saw dust where the bullet exited. I told him no way. Well after recovering the deer we found that the bullet had disintegrated and a big chunk had exited through the gut. 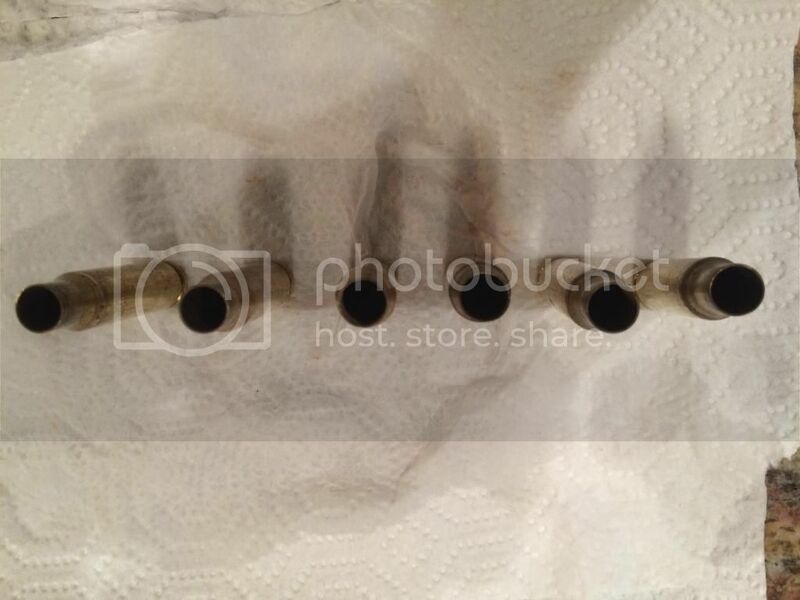 Mind you I had hit it through the lungs, it demolished a 9" area with lead fragments going every direction for over 12" and one big chunk exiting the gut. Then the next week I shot a small (very small) deer and the bullet didn't exit once again the bullet exploded. This happened several more times. Finally my buddy told me he wasn't going to hunt with me if I kept using those bullets, LOL, I don't think he was kidding. I sold the bullets to a target shooting friend and he loves them for paper. I switched to speer hotcores which have yet to fail. I can count the number of big game I've lost over the years on one hand, 2 were with this bullet. One was a 6x6 buck shot at 30 yards, it rolled him down into a very steep valley, by the time I got down there he was gone. Tracked him for 5 or 6 hours until there was no trace. then I came back the next day then several times over the next 2 weeks to see if the crows had found him, no luck, what a horrible feeling. This was back around 2008 so maybe they are tougher now.